CLASSES INCLUDE: Hot Power Yoga, Hot Body Sculpt, Barre, Body Fusion, HIIT, Hot Pilates, Bounce! 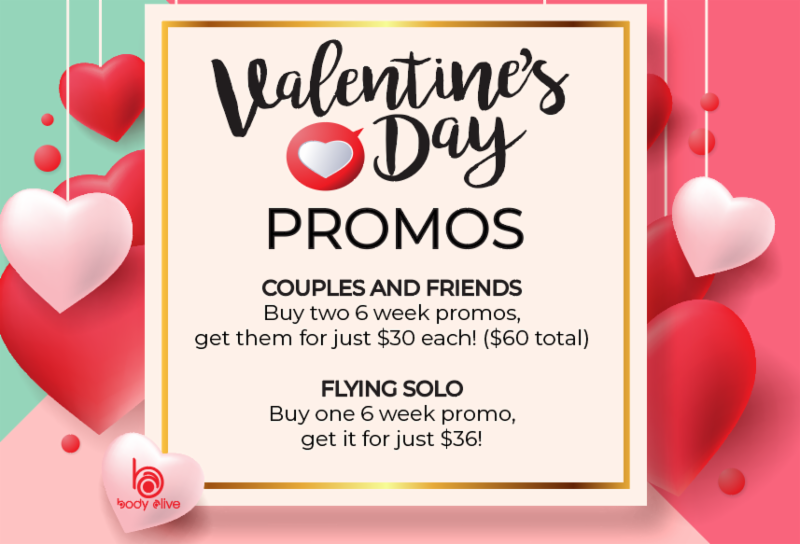 Click HERE today to purchase your Valentine’s Day Promo! Intro includes all classes except for cycle. Intro is valid for new students or students who have not been to the studio in the last 60 days. All intros do roll into memberships. Body Alive requires 72 hour written notice via email to cancel any and all memberships before your next bill date. Sale ends 2/14 at midnight.